The Renovate 2F Orthopedics for Specialty Care Clinic was a 5 phase $3 million complete renovation. The 2F orthopedic clinic specializes in post-surgical treatment, wound treatment, carpel tunnel, dressing care, and bariatric exams. 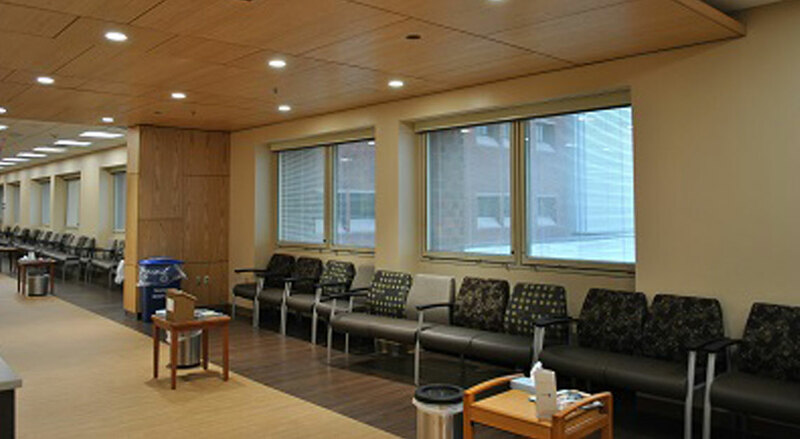 This project consisted of building 28 new exam rooms, new procedure room, casting room, multi-purpose rooms, patient and staff restrooms and doctors’ offices. In addition, two large nurse stations, new check in kiosks and a reception desk were added. 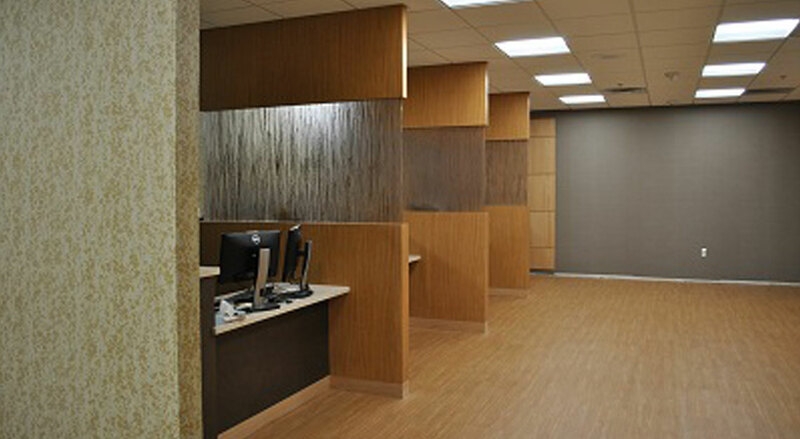 Finishes throughout the space were updated such as, wood and wall ceiling panels, marlite wall protection, vinyl wall graphics, resilient flooring, and millwork. 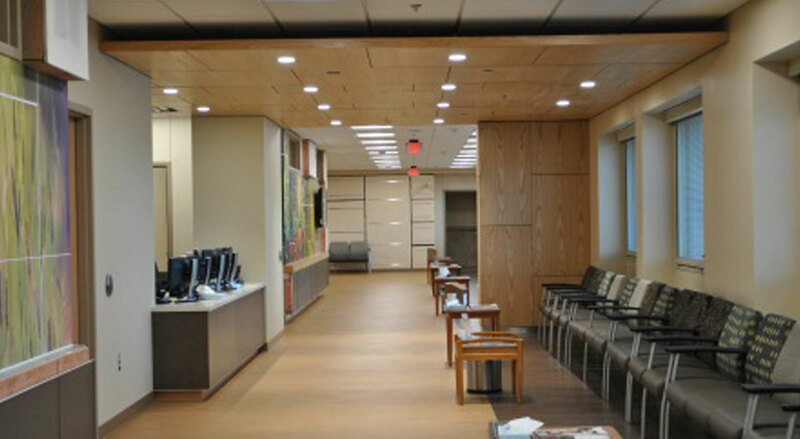 During Phase I of this project, Versacon had to create a functioning temporary clinic with exam rooms, offices, and reception desk in another area of the building before construction could begin on the new orthopedics clinic. 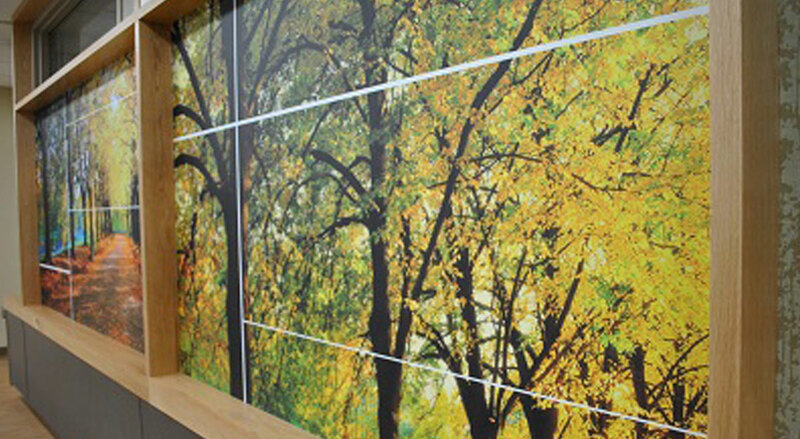 The project was completed in an active patient ward so coordination and infection control and patient safety were paramount.